They are the force behind one of the oldest and most pedigreed fashion brands in the country. 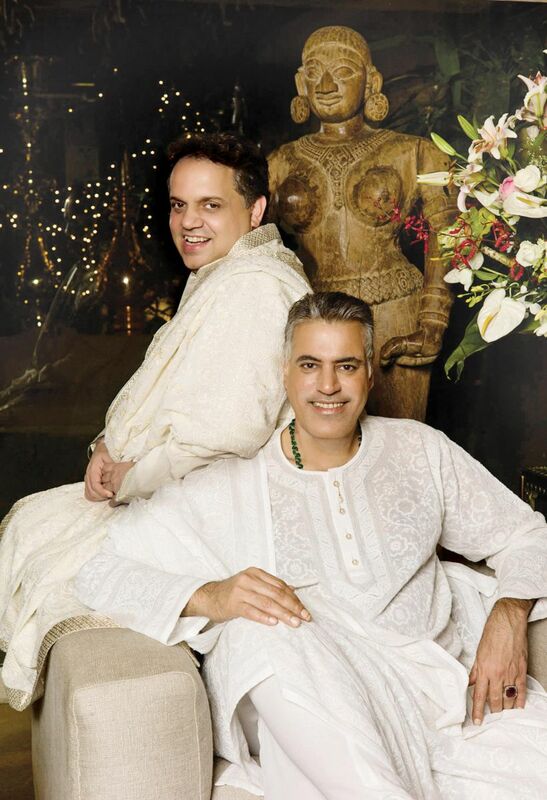 Abu Jani and Sandeep Khosala are probably the only designers who don’t believe in spending obscene amounts on marketing, because their famous clientele is their best PR. From society matriarchs who’ve trusted their designs for ages, to debutantes just discovering the thrill of couture, to Bollywood celebrities who love to dazzle, this designer duo is the go-to name for anyone looking for something a cut above the ordinary. You’re the favourite when it comes to the most glamorous women of India – young or old – who choose to wear your creations for big events. How did you develop such an amazing clientele? It’s both a delight and a privilege to have our creativity appreciated. We have always let our work speak for itself. Our work is to create and keep reinventing that creativity. To stay true to our passion for original design and commitment to impeccable quality. Beauty will always find an audience. We are artists, not businessmen. We concentrate on making. What do you think makes you both so popular with all the society ladies, along with their daughters and granddaughters? Artists must constantly raise the bar of their own creativity. And break it again and again. We try to constantly hone our technique, and we are restless to develop bigger and better creations. It’s an unswerving ability to push one’s own boundaries. We like to explore our many moods and are always expanding our vision. From classic couture (Abu Jani Sandeep Khosla) to Diffusion Asal by Abu Sandeep, and now AJSK GULABO, Pret-a-Porter, we create for every woman and her every mood. It’s thrilling for us as artists to reinvent. And that reinvention finds new audiences and age groups. We love that we have dressed three generations of families. Blood, sweat , and tears. And lady luck. And the blessings and support of our fabulous team. We’ve never compromised on our own vision or catered to an outside market. It’s been 32 years of serving and satisfying our own dreams and ambitions. We are as crazy about what we do today as we were as two young men in 1986. As hungry to experiment, learn, and create. You both are also prominently seen on the social scene in India. Is this a conscious choice that work demands, or do you enjoy being such public figures? Actually, we are intensely private people. We spend time with friends mostly at their homes or ours. We are entirely incapable of networking. It is alien to our nature. If we are public figures, it is because our work has earned us that position. As humans, we are far from social for the sake of socialising. How do you stay relevant with today’s young women and what they want? One’s work must always be relevant to oneself. Which means setting new and higher standards for expression. It is to satisfy your own creative urge, not catering to a consumer. Is the concept of an ideal beauty a myth? Or if it exists, what constitutes this? There is no such thing as an ideal man or woman. Beauty comes in so many forms. And flaws are fabulous. What’s that special something that makes a woman beautiful? Being her own human. Being you is always beautiful. How do you unwind and relax with such a hectic work and social schedule?